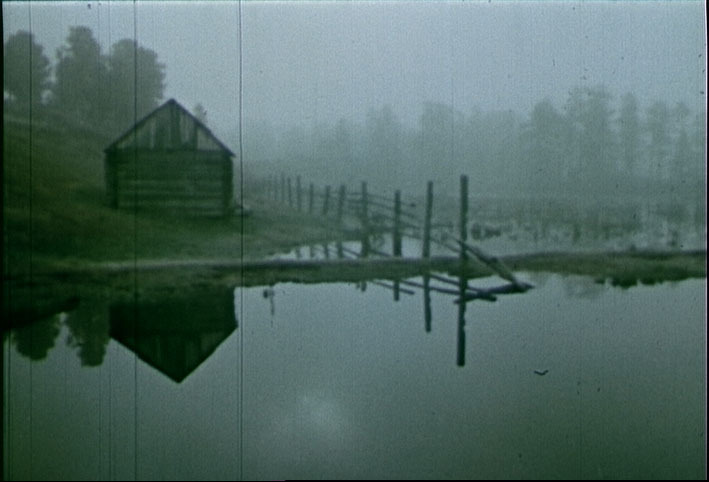 The Rzhevsky collection contains around 80 documentaries spanning the 1960's and 1970's, usually short but sometimes feature-length, frequently in color. Non-fiction filmmaking retained prominence in the Soviet film industry in the post-war period; every Soviet republic had at least a small studio (often called a “popular science” film studio) devoted exclusively to their production. While the theater infrastructure grew substantially during this period, television took some time to get off the ground, at least in part due to the daunting task of broadcasting across the entire expanse of largest nation-state in the world. Long after newsreels had ceased in the United States, theaters and workers' clubs remained an important site for screening non-fiction films, particularly in rural areas and outside the Russian Republic. Selections available from News of the Day provide examples of the typical compilation newsreel that might be seen at one of these venues. The reports are more revealing for how little they seem to say about contemporary society, aside from demonstrating new technological developments and giving exaggerated accounts of political crises abroad. Many Soviet viewers wondered if they were properly “non-fiction” at all. The vast majority of documentaries in the collection, however, are intended exclusively for foreign, rather than domestic audiences. Jaroslavl Rzhevsky purchased the bulk of the collection from Sovexportfilm, the organization in charge of foreign distribution, whose selections were not completely representative of the film industry's productions as a whole. A government agency called the Society of Friendship and Cultural Relations with Foreign Countries assigned various “popular-science” studios projects designed to bolster the Soviet Union's image abroad in the ongoing Cold War. For the most part, this agency's propaganda strategy is a softer, more innocuous one, designed to portray a cheerful (and whitewashed) life that Soviet citizens allegedly enjoyed. Several films, in fact, promote tourism for the infamous agency InTourist. Explicit ideological messages or accounts of international affairs are scarce, aside from reminding the viewer of the state's support for world peace. Given the international audience, the Society of Friendship's films were designed so that one of a variety of voice-over tracks could be included in the appropriate language. Most of the Rzhevsky documentaries are therefore in English, and could even be compared with other languages available. More interestingly, some skirt the language issue entirely by including no dialogue or voice-over at all, creating a non-verbal experience strikingly at odds with the strident sloganeering normally associated with Soviet ideology. Kievan Etudes and some installments of Around the Soviet Union follow a “city symphony” structure, showing images of famous monuments of their cities and editing them together according to the music track. Sport Rhythms is a compilation of shots of Soviet citizens playing their respective favorite sports, and the images are allowed to speak for themselves. The subject matter of the Rzhevsky documentaries offers a cross-section of its standard tropes of nationalism – both what Soviet leadership saw as its greatest social accomplishments and the positive traits they thought the ideal Soviet citizen embodied. For the former, we see the expected ubiquitous coverage of the space program, (such as in Road to the Stars and Orbits of the Inter-Cosmos) and expanded industrial technology; for the latter, the vibrant, strong population in constant motion through sports and dance. A regular strategy for visualizing a topic was to choose an ostensibly “ordinary” Soviet citizen—the Kazakh farmer who has bred an improved species of crop, the schoolteacher who serves in local government, the surgeon of proletarian origins—and expound on their biographies and accomplishments. These people were selected with the goal of providing models for other citizens to emulate. Some documentaries, such as Five Meetings in One Summer and Ballad of My Contemporaries, are compilations of these individuals. For the most part, however, émigré taste seems to have gravitated towards less politicized subject matter that lent itself to visual display. These included filmed performances of operas, dances, and the most popular genre: travelogues of exotic regions in the Caucases and Central Asia. An informational film about the geography and culture of almost every Soviet republic can be found in the Rzhevsky collection. Such films usually juxtapose images of the folk arts, costumes, and dances with subtle (or not-so-subtle) evidence for the success of modernization projects there. The presemce of these massive films in the collection is one of its more curious aspect, and it is possible they were thrown in as promotional material when Rzhevsky made his purchases; to the Western viewer, they often exemplify Soviet kitsch. One example, The Miracle of my Childhood, a straightforward informative documentary about Lake Baikal, might provide some insight. The narrator frames the exploration of the area as a memory, and a strong tone of nostalgia seems to run through the voice-over that accompanies the image. Perhaps, in spite of the films' distorted information, émigré audiences could not resist their curiosity and appreciated the occasional glimpse of the motherland.